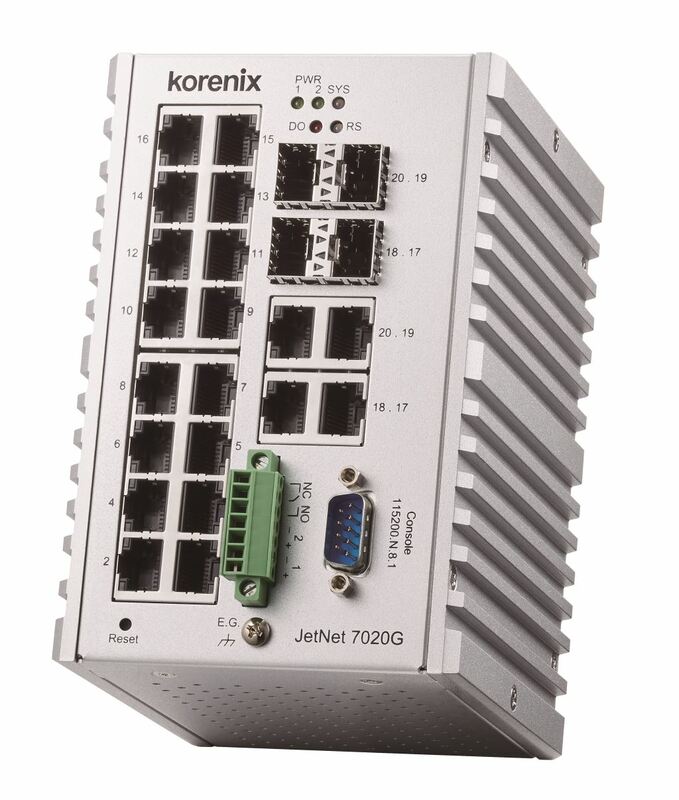 Korenix New Industrial Ethernet Switch: Minimized size with Maximized performance! 2018/10/20 KorenixSky 201810-- New Industrial Ethernet Switch: Minimized size with Maximized performance! Korenix JetNet 7020G is a layer 3 routing switch that has high port numbers with 16 ports Gigabit Ethernet RJ-45 and 4 ports Gigabit with RJ-45 or SFP combo design. The high port number allows you to customize your switch to meet the specific needs of your network, no matter which industry you're in. Wifi product market trend and a clear comparison of the JetWave 2212 family will be introduced in this video. Korenix technology (a Beijer electronic group) has successfully exhibited in the 20th CIIF china international industry fair.